Get your invites out early so if anyone is not able to come, you have time to invite a reserve guest - I provide free invites for all parties, please just let me know how many you need! Keep the food simple, small children don’t eat that much, especially if they’re excited. Give each child a plate of savoury food first and then put the sweet stuff out afterwards. Hot dogs and pizzas are easy and popular. Don’t forget a few bits of fruit and veg - some children actually eat them. Not forgetting sausages! While it's nice for the adults to have a get together and talk, it can distract the children trying to watch the show - but being a mum I know it's sometimes difficult to stop talking! Party bags need not be over the top. A piece of cake, a small bag of sweets or box of raisins and small toy is all you need. Why not choose the Crazy M party bags, which take all the hassle away from you! 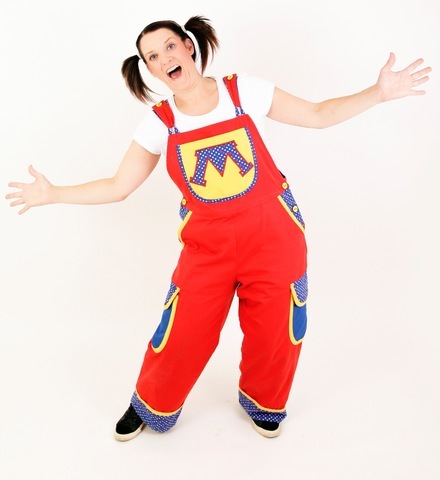 At the best parties the adults join in too and if you take part your child will love it! 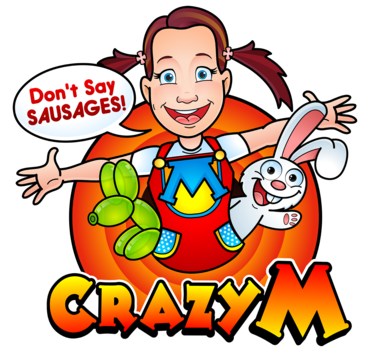 Now available - Crazy M party bags!